The IOBASE06 is a Tealware Expansion I/O Base with 6 module slots and 1 power supply slot. Any mix of up to 6 Tealware I/O modules mount into this backplane. 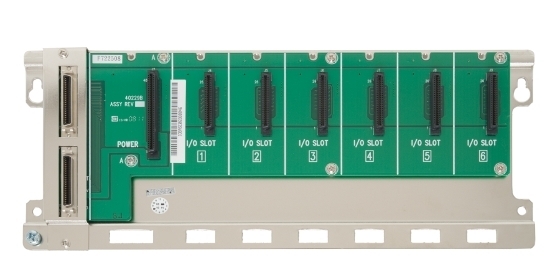 I/O Bases connect to a Smart SoftPLC or Smart Adapter equipped with a Local Ports interface via an Expansion I/O Cable. Up to (3) I/O Bases can be daisy chained from a single connector on the Smart LocalPorts interface, using these Expansion I/O Cables.